The Cayman Islands are known as one of the worlds top diving locations where recreational scuba diving is said to be invented. Eden Rock has become known for snorkelling with groups of yellow tails and sergeant major. 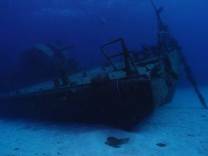 The Cayman Islands is a destination which is said to have invented recreational scuba diving. It was discovered by Columbus in 1600 and he named it 'las tortugas' after the many sea and land turtles he spotted. Later the local iguanas on the island were misinterpreted for alligators or Caymans, hence its current name. The Cayman Islands consist out of three small islands. Grand Cayman, Little Cayman and Cayman Brac located in the Caribbean Sea between Cuba and Honduras. It has an affordable tropical climate with rainy summers and cool dryer winters. Water temperatures range between 26 and 28 degrees and visibility exceed 100 feet most of the year. It is all about tourism here. Luxury resorts, expensive hotels, good dining and excellent shopping opportunities. Boat charters, diving trips, dive shops and nature related activities are some of the highlights of your trip. Some of the fun stuff you can do is parasailing, windsurfing, waterskiing and kayaking. There is also a lot of entertainment for kids. SASY (Supplied Air Snorkeling For Youth) is one of the organizations that learns children about the underwater world. PADI offers bubble maker courses for children over eight years old, making them familiar with the basics of scuba diving accompanied by instructors. You will find signs of pirates all across the islands. In November they celebrate the Pirates Week Festival and signs of roads, houses and even persons are named after two of the most notorious pirates, Captain Blackbeard and Calico Jack. The United States offers many direct flights and serves as the biggest gateway for tourists all over the world flying into the Cayman Islands. Once you are here, it is easy to fly into Cayman Brac and Little Cayman. Grand Cayman with the capital George Town has become one of the world's prime banking areas. Famous Seven Mile Beach is the place to be if you want to relax under some Casuarine Trees sipping your cocktail. Some attractions on West Bay are the stunning dive and snorkeling spots at its northern wall, some limestone rocks named Hell and the Cayman Turtle Farm. Spectacular sunsets can be seen at Rum Point and those who seek some culture should visit the Pedro St James Historic Site, Caymans oldest building. The rugged East End offers beautiful scenery, some blowholes and the famous Queen Elizabeth II Botanical Park. Little Cayman has a population of less than two hundred and those that are booked here will get a remote and quiet holiday in one of the worlds most beautiful places. Bloody Bay Wall, Jackson Bay, Tarpon Lake and Booby Pond are some of the things you would like to see here. Cayman Brac with its geological stunning feature called the bluff is a little bigger and has become famous for its rock-climbing, caves and Stake Bay's museum. As we said before; diving is spectacular. Steep walls, strong currents and shallow reefs characterize the Cayman Islands. Its warm waters host all kinds of tropical fish, colorful sponges and hard corals. Some species you would like to see are turtles, barracuda, eagle rays, Nassau groupers and sharks. Stingrays are very famous and they even have its own city named Stingray City, where you can spot more than 150 rays at a time. There are many shipwrecks along the coast dating from the pirate time. Most of the reef is part of Marine Parks and permanent moorings for boats have been installed to protect the reef as much as possible. There are more than two hundred listed dive sites around the three islands, so there is no need to do the same dive twice.